Hands up who needs new scales? Brutally accurate ones? Well I have just the review for you today. 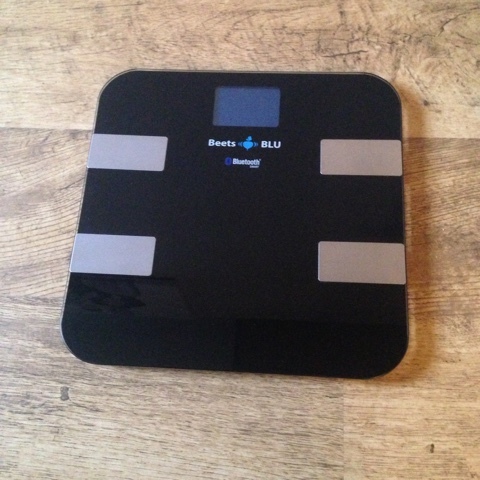 We were recently asked if we wanted to review the beets blu Bluetooth scales of course we said yes, we're both on a bit of a health kick at the moment, not just for weight loss but that is a very nice side effect of eating more healthily so this will help us see how we're doing. 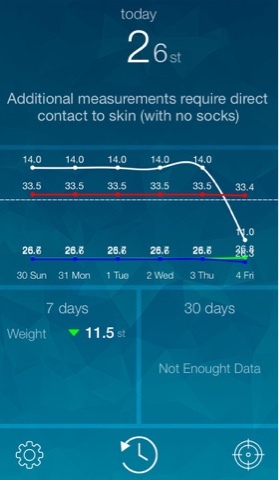 The Hubs is very keen to keep an eye on his BMI and body fat % after his TIA and so these app interactive scales were perfect for helping to monitor this. 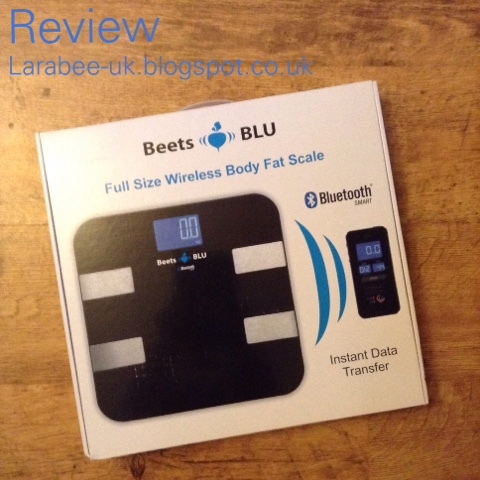 I reviewed the Beets Blu Bluetooth heart rate monitor earlier in the year and it was fab, so I already had great expectations of these scales, when they arrived they didn't disappoint. Super sleek and shiny in black glass and chrome they are very stylish looking which means that we won't try and hide them away, we're happy to have them on show in our shower room :) in fact the hubs now wants to give the shower room a bit of a facelift to match, he likes the look so much!! With most scales they cannot be used on soft surfaces so you will need to find a nice hard surface to put them on if you have carpet. Within literally minutes we had the scales working (batteries included!) and were both gasping in horror at the results! The app always easy to find and easy to set up. Obviously we all know about consistency when weighing but these really do demonstrate that fact well. We are now into a good routine of weighing on a Monday morning after our morning showers so it shouldn't be too difficult to remember to switch on the app before we weigh to make sure that the results are synced back to our phones. One thing we have found is that because there is no concept of 'users' if you have the app open the results will download, I inadvertently got one of The Hubs readings which told me I'd put on a huge amount and The Hubs forgot when he let T have a go and he shot down to 2 1/2 stone! At £55.95 I thought they were not particularly cheap, shows how long it's been since I bought scales, but having done a little research this is certainly a very reasonable price for Bluetooth scales, with some very similar products topping £100 they are certainly not the cheapest either though. Ours came from Amazon, who's service as usual was second to none. I had no hesitation in giving this product 5 stars and highly recommend to anyone. Just remember to switch off your app when done, otherwise you'll have some skewed results if someone uses them! Disclaimer: we were sent this product in exchange for our honest review.